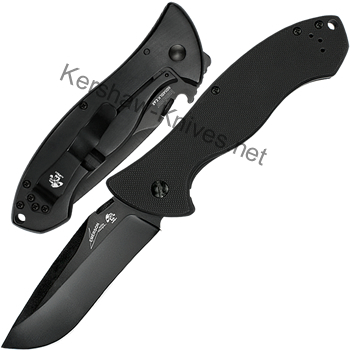 Kershaw Emerson Design CQC-9K Knife 6045BLK. Kershaw and Emerson have heard the cries from you men- asking for a bigger knife. Well, you have got it, this is their version of big and oversized. 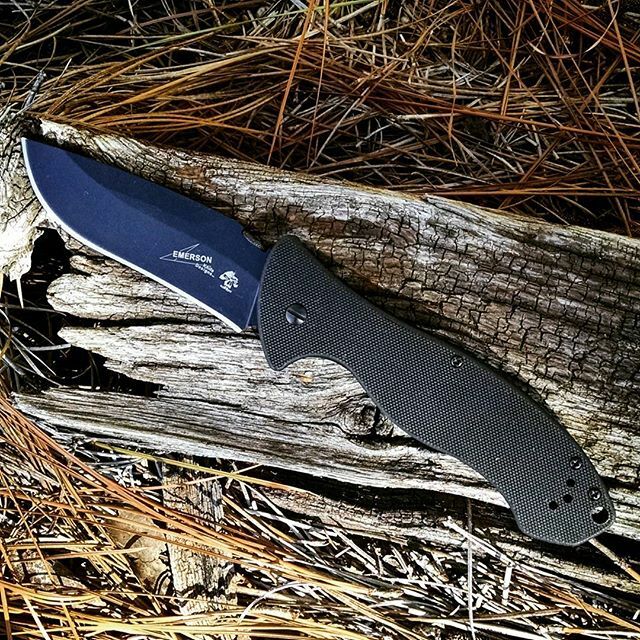 You get plenty of Kershaw quality and plenty of Emerson style on this oversized knife. The blade is 3.6 inches with a black oxide coating over the big drop point blade. It is made of 8Cr13Mov stainless steel, which gives this blade exceptional wear resistance, hardness and good edge retention. See the slight recurve in the blade? This was made to improve the cuts around rounded material like zip ties, hose, and rope. The pocket clip can be interchanged from a left to right carry. Large lanyard hole on the end of handle. There is G-10 Scales on the front of the handle to help secure your grip, while the back of the handle is sleek and smooth with the black-oxide coating. Secure frame lock. Opens manually with the thumb disk or use this wave action on the side of your pant's pocket to easily open this blade up on it's way out of your pants. Sleek curves help this baby to fit right into the palm of your manly hands. Big just got better!